New facility trains IT and infrastructure company employees to defend against cyber attacks. Israel 'is the most-attacked country' online. Israel's new state-of-the-art "Cyber Gym" was opened this month by the Israel Electric Company (IEC) to train IT and infrastructure company employees to defend against cyber attacks, reports AFP. Cyber Gym director Ofir Hason discussed the threats Israel faces. "Israel, we believe, is the most-attacked country," Hason states, adding that IEC, "the most-attacked civilian company in Israel, (has the) unique capabilities to train other companies around the world" to defend against system hacking. 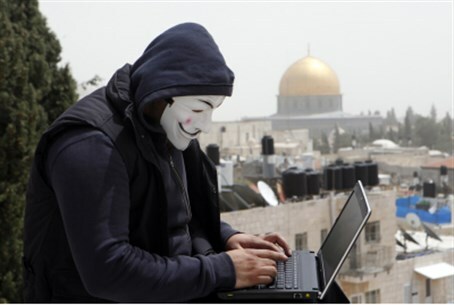 Israel faces roughly 100,000 cyber attacks per day according to an expert's estimate. IEC's estimates are even higher: the company alone receives around 10,000 attacks per hour, reports IEC CEO Eli Glickman. Those running the Cyber Gym include "professionals from the army, security services and (those straight) from university," said an instructor calling himself "Mister." Training consists of live hacks in real time by instructors in an adjacent room, which trainees must defend against. Cyber Gym emphasizes the practical importance of the defense operations. If a cyber attack is not stopped, one outcome is that the room trainees are sitting in is plunged into darkness. Director Hason remarks that "an attack could end with damage to equipment, or a blackout around Israel." In October IDF Chief of Staff Benny Gantz warned of the dangers of cyber warfare. Gantz remarked in a security conference that "it is possible that there will be a cyber attack on a site supplying the daily needs of Israeli citizens; that traffic lights would stop working or the banks would be paralyzed." The same month, Deputy Defense Minister Ze'ev Elkin, while in South Korea to boost cooperation between the two nations, noted that cyber attacks on Israel have been turned into a source of strength, as Israel is pressed to advance its technology and knowledge. Meanwhile Energy Minister Silvan Shalom, asked whether a physical or virtual attack is more troubling, recently said "I think the future battle will be in cyber space." IEC vice president Yaakov Haim noted that "there's a possibility (Cyber Gym) will be opened up to American companies, western Europe, eastern Europe and Asia."